Many of us want to think the best of people and not view the world as a place that’s full of dishonesty, fraud and corruption. Unfortunately, there are situations that call for expert advice and assistance when individuals and companies are concerned about such threats. Infidelity, investment scams, false resumes, fake companies, identity theft, romance scams, corporate espionage, and thousands of other threats do exist, and clients rely on private investigators to minimize the risk and gather clear evidence. In today’s world, it’s definitely better to be safe than sorry, and get the facts. A business, like a person, has a past and a culture and interacts with many people every day. However what you see may not truly mirror what the business is all about. Private investigators can research and investigate and deliver evidence that you’re doing business with a reputable entity. You’re probably looking for tips on how to win custody of your child. To win a child custody case, you must uncover facts that are compelling – and admissible — in court. Private investigators can serve as a witness in a case and prove facts that are tough to prove on your own. Even a potentially difficult case can turn into a simple one at trial with the right facts and evidence. If you’re thinking about investing overseas, you will face an increased risk for fraud. Professional investigators verify the company or individual with real due diligence, to verify the operations, registration, legal status, criminal and court records, reputation, profitability, and more. Identity theft happens when a person’s personal information is stolen and the criminal then commits fraud or theft under that person’s identity. Unfortunately, investigators say identify theft is only getting worse — millions of dollars are lost every year as a result of identity theft – and hundreds of dollars and countless hours are spent trying to repair victims’ credit. Private investigators can help determine who stole your identity and can create a report for you to take to law enforcement. More importantly, expert investigators can advise how not to be a victim. Whether you met your Mr. or Ms. Perfect online or offline, these days it pays to be cautious. How do you know the individual you met over the internet, or at a bar, is truly who he or she claims to be? You don’t. Clients rely on private investigation companies to conduct a comprehensive dating background check that verifies education, employment, address, criminal and court records, ID or passport, date of birth and more. Investigators also screen the case for fraud and identify risks. If you hiring internationally or even locally, false CV and backgrounds do occur and put your company at risk. Companies who are serious about protecting themselves and hiring only the best take these verifications seriously. Checking criminal records alone is not a prudent verification method, and certainly not an investigation. Professional investigators verify employment candidates in detail, and determine if the individual is competent and qualified, before you commit. A private investigator knows the ways to win your personal injury lawsuit. He or she can find key witnesses and other information essential to win the case. A skilled professional can find photographs of the crash when the crash report is incomplete. 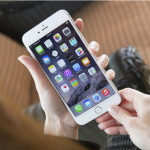 Make sure to obtain the police transcription of the 911 calls too – sometimes he or she is the only witness. Private investigators can identify welfare fraud, such as under-reported income or abuse of other government assistance problems like WIC. It’s a P.I.’s job to identify all sources of income — he or she can identify all occupants of a home to ensure that the reported income is accurate. With more Americans than ever on government handouts, these types of cases are sometimes needed. Divorces and legal cases are so common today, they are almost hard to avoid. But, there are other reasons when an asset might be important as well, such as part of a merger or international due diligence to verify a buyer or potential partner. Lawyers and individuals and companies use private investigators to find assets overseas, both bank accounts and physical property. If you suspect your spouse is cheating or hiding important information or assets from you, may want to hire a private investigator. There are ways to tell if your spouse is hiding assets and a reputable private investigator can access records such as bank accounts you don’t know about or follow a spouse who has become distant to see if he or she is cheating. Before you hire someone, remember that a private investigator can help your attorney uncover evidence, if and when needed. Not knowing if your spouse is having an affair is a painful and devastating thing. Private investigators help with these unfortunate situations every day. A P.I. can discreetly find out facts and information and uncover the truth so you know whether or not your spouse is guilty of infidelity. 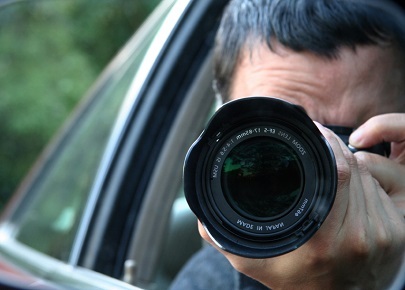 There is no evidence like photograph and video evidence from surveillance footage on your partner. Insurance fraud happens when an act is committed with the intent to obtain a benefit in which a person is not otherwise entitled. False insurance claims are filed with the intent to defraud an insurance provider and they cost billions of dollars each year. Insurance fraud claims range from stretching the truth to committing intentional damages or injury. Private investigators can help identify the truth. We photograph those suffering from leg injuries playing basketball, and so on. In some cases, investigators may even photograph a living person, who is supposed to be deceased! Each year around 1.5 million people are stalked in the U.S. It’s a problem in this country. For people who believe they are a victim, it’s time to take action before the situation spirals out of control. These crimes are often ignored and become a losing battle – but private investigators can help stop the threat and get stalkers prosecuted. In these cases, it’s important to also work with law enforcement. 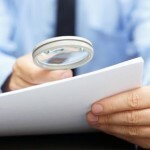 You may wonder, should your company use background check investigations? The answer is yes — it can help prevent future problems. All too often, businesses find themselves in a situation where assets are missing, books weren’t kept accurately or bribes have been taken. P.I.s can determine if assets were fictitious, improper payments were made or whether there were other misrepresentations. Private investigators can also track down the guilty party through background checks, and asset searches uncover the money trail. Due to law enforcement agencies with limited resources, and higher rates of global crime, especially pertaining to the internet, it is common when police and law enforcement fail to investigate your case. In international cases, law enforcement and governments face jurisdictional problems, and receive hundreds or thousands of similar complaints. So, to get the help you need when no help is to be found, a reputable international investigation company such as Wymoo® is a great choice to work with your attorney. Online dating is a booming industry, but with it has come exponential cases of fraud and scams. Posting profiles and photos is simply and fast, and anyone can do it – even criminals hoping to scam you. Victims of romance scams lose more than money. Victims are often devastated financially and emotionally. Comprehensive background checks by real investigators are the best prevention to avoid dating scams. The truth is, anyone can be a victim and no dating site is 100% immune from romance scams. Private investigators verify the truth behind the profile. Let’s say your case is fairly simple, and you have a copy of a passport, ID or documents that you need to verify the authenticity of. Despite your efforts, there is no way for your to verify if the document is real, and it may not even be in a language you can read. Luckily, international investigators verify passports, identifications and documents from around the world on a daily basis. Marriage is a big deal, especially if it involves a foreign bride or groom. Don’t start the visa process without knowing the truth, the whole truth, and nothing but the truth! An expert investigator can verify everything you know or think you know about an individual, before the wedding. Investment scams these days, unfortunately, are a dime a dozen. Fraudulent websites, false companies and endless possibilities now target individuals and companies. High risk fraud zones are in countries like China and the United Arab Emirates, etc, but the threat is now global thanks to the internet. It’s more important than ever to properly verify with international due diligence. For companies hiring overseas, private investigators who specialize in international cases can help a company or client develop a customized strategy to properly verify candidates. This goes beyond your standard international background checks, and can be a great solution for companies and individuals who need to know what they should verify, based on their unique situation and risk. A professional private investigator offers many reliable services to help in many situations – from criminal cases to infidelity to background checks. Just make sure you do your homework and deal with a company you can trust, with highly trained investigators on the ground where you need them. Services offered and quality of services vary dramatically from one company to the next. I wish more people and especially companies had clear how important it is to run background checks. As a recruiter, I find that not many companies understand the risks of hiring people without investigating their past. You should always keep the number of a private investigator close. You never know when you´ll need it. Nowadays verifying is not a matter of being a freak or paranoid, it is mere survival.